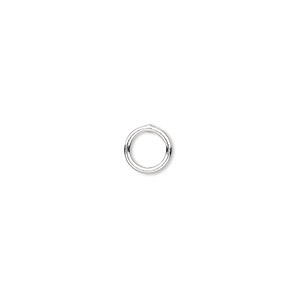 Jump ring, sterling silver, 8mm soldered round square wire, 3.8mm inside diameter, 12 gauge. Sold per pkg of 2. 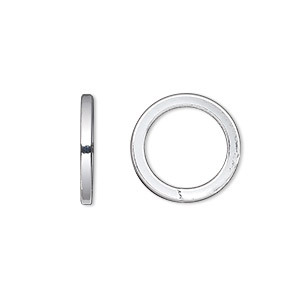 Item Number: H20-A8097FN Have a question about this item? 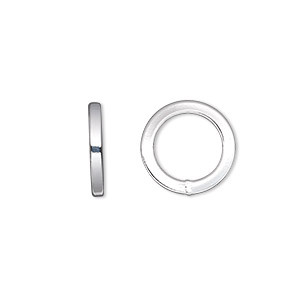 Sterling silver jump rings are soldered closed. 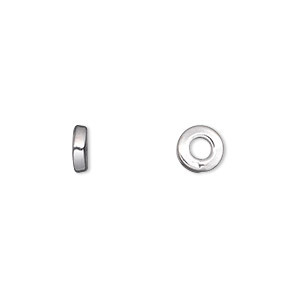 Jump rings are a classic and versatile staple for the jewelry artist. Used with clasps, drops, dangles and links, and in chainmaille creations. 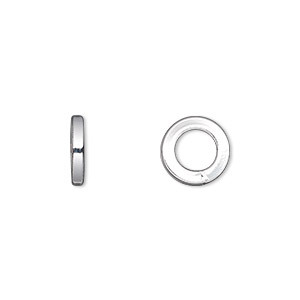 Jump ring size, gauge and inside diameter are approximate. 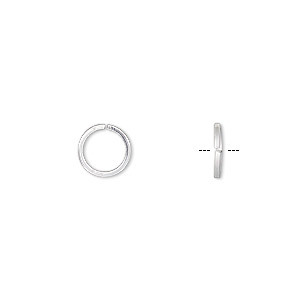 Jump ring, sterling silver, 8mm soldered round square wire, 3.8mm inside diameter, 12 gauge. Sold per pkg of 4. 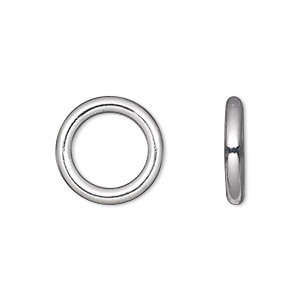 Jump ring, sterling silver, 16mm soldered round, 11.1mm inside diameter, 11 gauge. Sold individually. 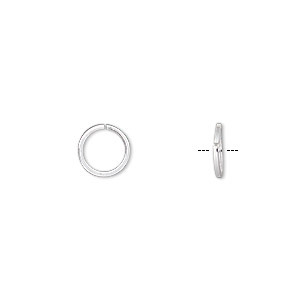 Jump ring, sterling silver, 8mm round square wire, 6.3mm inside diameter, 20 gauge. Sold per pkg of 20. 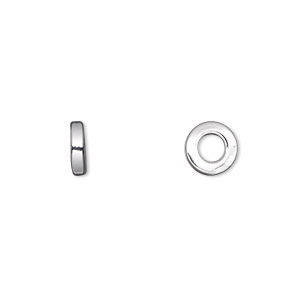 Jump ring, sterling silver, 8mm round square wire, 6.3mm inside diameter, 20 gauge. Sold per pkg of 50.